We offer staging units on a bespoke basis to custom-build any shape or size of staging to suit your requirements, but most of our customers prefer the simplicity of ready-made kits. 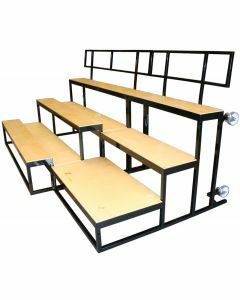 These kits still deliver flexibility in the layouts available with the added security of ensuring you receive everything you need to create the most popular sizes. Modular staging kit - "Kit 300"
Modular staging kit. A complete solution providing an area of 3m x 6m in flat, runway or tiered configurations. Complete with storage dollies and steps. Modular staging kit - "KIT 200"
Modular staging kit. A complete solution providing an area of 3m x 4.5m in flat, runway or tiered configurations. Complete with storage dollies and steps. 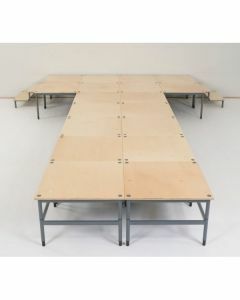 Modular staging kit - "KIT 100"
Modular staging kit. 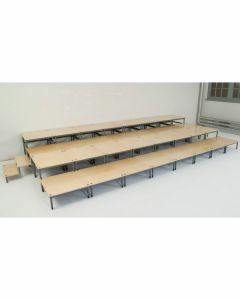 A complete solution providing an area of 2.25m x 4.5m in flat, runway or tiered configurations. Complete with storage dolly and steps. 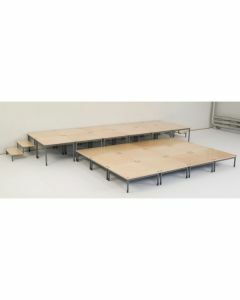 Modular staging kit - "COMPACT KIT"
Modular staging kit. 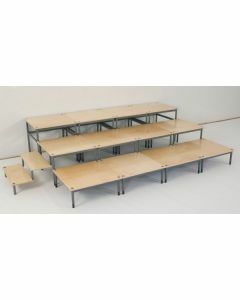 A complete solution providing an area of 2.25m x 3m in flat, runway or tiered configurations. Complete with storage dolly and steps.